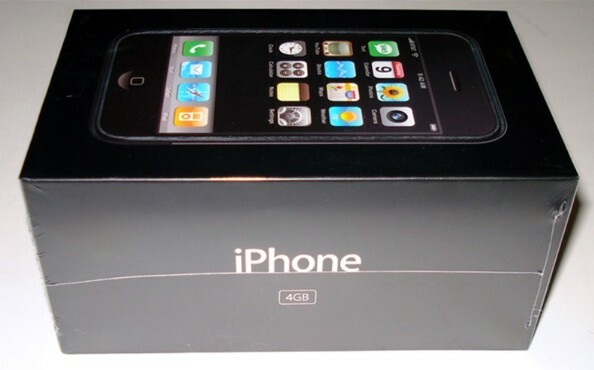 Two years and 3 models into the iPhone line of smartphones, older iPhones are becoming available. They are being sold or in my case being given to family members. The one thorny issue with AT&T is the $30 monthly ($360 per year) cost of the data plan for individuals who really don't need to have continuous access to the internet while outside their home. On Windows Mobile smartphones it is easy to turn off cellular, however on the iPhone there is no user accessible option to turn off cellular data unless you are roaming. The iPhone does have the concept of profiles to control network access. Profiles are intended to be used by network operators to control features. Apple defines how profiles are created and provides the information to developers. The GSM standard uses Access Point Names (APN) to control cellular data traffic. When you place an AT&T SIM card into an iPhone, the AT&T APN is automatically configured. Since there is no way to turn off cellular data on the iPhone, the only way to circumvent a connection to the AT&T cellular data network is to change the AT&T APN to a dummy APN. A developer in New Zealand has a web page which does this automatically for you. Place the AT&T SIM card in the iPhone (if it is not already there, if you can make calls on AT&T it is there). Go to this URL http://www.unlockit.co.nz/. When the iPhone now tries to connect to the cellular data it will fail, you will get this message and you will not get charged for data usage. This also means that you will not be able to use Visual Voicemail since that feature uses the data network. A small price to pay to use the iPhone with paying for a data plan. If one day you choose to pay for the data plan, you can easily remove the Fake APN profile by going to settings/general/profiles, tap on the profile and tap on remove. Many thanks to Craig Whitmore for developing the unlockit.co.nz web site. Disclaimer: I am not sure what the AT&T policy is about not having a data plan associated with an iPhone that is not under contract, so use this tip at your own risk. A new and useful feature in the iPhone OS 3.0 is the feature that recognizes addresses and links them to a map view when tapped. This is essentially the same type of feature that recognizes phone number and allows you to dial them by tapping. On the phone number front, the recognition was extended to notes which great when you have conference call information embedded in an appointment's note. HTML email with underlined address and phone number (under At Your Local…). Tapping the address brings up the map application. You can tap directions to get to the location. First off; I want to thank all of the BMW enthusiasts out there for all the information they post on the forums, especially x5world. Without the information and responses on these sites I would never have attempted the upgrades to my X5. For this project I used the instructions provided with the spec dock and this installation post on xoutpost. As with any project I adapted the information to meet my needs. I will document the changes I made to fit my needs. Since I have a BMW Sirius receiver, the Intravee II requires a jumper to be reset. There are four screws to remove and the jumper block in question is closest to the audio connector. With the audio connector towards the top of the unit, move the jumper from the pins on the right to the pins on the left of the 4 pin 'block'. I needed to upgrade the Intravee firmware to version 5.40-323. The upgrade process is a bit convoluted but if you follow the instructions carefully you should not have any issues. With those issues behind me, I was ready to move on to the physical installation. The first step was to install the spec dock by following the included instructions. My only comment on the instructions is that with the auto transmission I did not need to lift the shifter trim out of the way. I was able to thread the cable through to the side from the ashtray compartment. View from the passenger side. Cable coming from the ashtray compartment. I plugged the Ridax charge converter into spec dock cable and the CableJive 6 foot extension cable into the other end of the charge converter. I then ran the cable assembly in a gap under the console. The x5forum instructions are for a Dension install, but they are invaluable in order to pass the cables through the cabin. The hardest part of the install is running the cable under the molded carpet in front of the rear seat. I only pushed the carpet out of the way on the driver's side. After removing the carpet trim on the center console and slitting the carpet with a utility knife, I was able to thread the end of the CableJive extension under the carpet. I was able to pass several inches of the cables, I then fashioned a wire with a hook out of a hanger, and by sliding my hand under the molded carpet from the door, I was able to hook the cable and pull it towards me (it took several attempts). I then connected that end of the cable to the Alpine KCA-420i iPod cable. I mounted the Alpine KCA-420i and the Intravee II upside down above the Navigation computer. I used double sided heavy duty tape. I made sure the Intravee II serial port was exposed so that I could easily perform firmware upgrades. The iPhone 3G charging in the spec dock. Without the Apple inserts, the iPhone fits easily with its silicone jacket which is great. The iPhone 3G and the Intravee II display on the Navigation system. The spec dock with my iPod 5G. The whole process took about 2 and 1/2 hours which is not bad and as a disclaimer when you perform these upgrades you do it on your own and assume any risks. If anyone is interested in my Dension Icelink unit for $50 please email me at steve (at) mydigitallife (.) us. It works fine and I would especially recommend it for a non NAV installation. Before you email me, you should be comfortable with installing electronics. Since Dension is out of business support will be an issue and I am selling it as is. As I am getting ready to take a vacation at the end of the month and wireless Internet access has becomes fairly ubiquitous, emailing pictures from your digital camera should be getting easier. I finally have gotten the whole family to understand and use the Kodak EasyShare gallery. Everyone knows how to upload and share their pictures. Using Adobe Photo Elements, the task is mindless, although in 6.0 the function is buried in other sharing options. Adobe wants you to use their service, but give them credit they kept the Kodak Gallery function. On vacation however I don't want to lug my laptop, I want to be able to transfer pictures from my camera to my PDA, email them to Kodak ([email protected]), and share them via their paying mobile web site which I only subscribe when I need it ($2.99 / month). I detailed my approach to making this work back in 2006 (link). In some way the process had gotten easier with cameras which provide WIFI functionality, however it looks like Nikon, Sony and Kodak are letting those models die on the vine. They must have been a bust. I was never attracted to them because I felt they offered too little on the camera end and the price was too steep. The other choice is to use an Eye-Fi SD card which provides WIFI capability as well as storage. This is actually a very nice option if you have a camera that accepts SD cards, unfortunately my Sony cameras don't. It looks like my option remains the process I developed in 2006. I would love to use my new HD camcorder which also takes 6.1MP stills (Sony HDRCX7). It is a very compact and lightweight flash based camcorder with a 10X optical zoom. I originally bought it for video reviews, but found that the 6.1MP still picture quality was excellent and having the 10x zoom provided great flexibility. Unfortunately, Sony left out all of the still photo editing/sizing features I have in the DSC-W70 and the USB interface is not recognized by the Delkin USB Bridge. The second upgrade I wanted to make to my process was to use my iPhone to email the pictures to Kodak. The Delkin USB Bridge won't recognize the iPhone either. I have an iPod Camera adapter which works great with my 5th generation iPod, however it looks like Apple has stopped supporting this accessory. The new iPods, Touch, and iPhone all pop up an unsupported accessory message. This is really too bad because it is a valuable backup tool for your camera on trips. I may just use my Sony DSC-W70 and my AT&T Tilt, I know that combination works and the cheapest solution. This is an on going rant I have...When the iTunes and the iPod environment were created it is clear that someone thought through the potential of a household to own multiple iPods and PCs by allowing up to 5 PCs access to purchased content. What boggles the mind is that given MacOS' multi user capability Apple did not think through a multi user scenario where a family with multiple iPods would want to share a single music library on one PC, manage their own playlists, and have their personalized iPod/iPhone synchronization options. iTunes recognizes a single location for both users which I created under the Public/Public Music on Vista, however each user has his own library catalog which is not synchronized when one or the other user adds content. I have been manually re adding the iTunes folder in an attempt to synchronize libraries. This worked OK until version 7.6, although I did have spurious duplicates which I manually deleted. Now the add folder only adds part of the new content and duplicates some of the files. There is no pattern to it adding duplicates and It seems totally broken. At this point, I may delete the library catalog and try rebuilding it, but this is not a solution every time you add content. The Wall Street Journal's Walt Mossberg has published a review of the iPod Touch on All Things Digital here (no subscription required). I found this review to be well balanced compared to his usual Apple slant. The Touch uses the OS X like the iPhone. I have had the iPhone for a week now and here are some of my thoughts. I am still fascinated by the touch UI. The touch is fairly precise, although I am still learning gestures. The gesture I like the best so far is the slide to page up/down and sideways. The best demonstrative application with this gesture is the iPod's cover flow. The design of the Safari browser is outstanding, it really brings the reality of browsing on a small device. It does have some bugs and it does not work with all web site, but the concepts are innovative. The virtual keyboard is interesting and I am still getting use to it. It is suppose to learn from your touch, I have not seen this, but maybe I have not used it enough. The overall design is outstanding, the screen is clear, bright and the form factor feels good in your hand. Bluetooth, A2DP/AVRCP profiles for wireless stereo/remote control, com profile for GPS accessories and syncing with iTunes. I find this to be a big omission. Exchange ActiveSync server. When you don't have the auto synchronization of contacts, calendar events, and tasks you really miss it. I don't want to think about where I enter or update (PC, web, or mobile device) a contact, calendar event or task, however I want to be able to access that entry from any device without having to plug in. Before I ever used Exchange ActiveSync server, I thought it would be nice but no necessary. Now if I don't have it, I miss it. Maybe Apple is working on something similar, we will have to wait and see. No cut and paste functionality. I find this hard believe. As part of the unlocking process with iBrickr, you need to install the core PXL platform. This platform allows you to run 3rd party applications. The growing list can be found here. After 3 days, taking one step back and two forward I am happy to report that my iPhone is now running on the T-Mobile network. I decided to use the software only approach for unlocking the phone (SIM), however the process I used to unlock the basic iPhone functionality was not compatible with this approach. I had to use iTunes 7.3.054 to restore the firmware to its original state, then start again using the new process detailed here. This involved the use of iBrickr. This utility opens up the iPhone's world to a myriad of useful system utilities and small applications, as well as a file explorer. Once the basic iPhone was unlocked, I moved on to the next step of unlocking the phone by downloading the Unlock.app GUI application, however I could never get it to run so I decided to try the manual approach found here and here. I used the second set of instructions, they seemed a bit clearer, however both use the same approach. It was very interesting that the developers of this approach used BSD subsystem, this just points to MAC OS' heritage. Once I installed the SSH server, I was able to connect with PuTTY and initiate the process. It took less than 10 minutes. I am very appreciative to all the detective work by a group of talented individuals. I do have to agree with Chris' comment from my day 2 comments, that Apple did not go out of their way to lock down this device, but it still took some dedicated sleuthing with a HEX editor to make it work. The installer program used to install utilities is very nice, it allows you to install applications Off The Air and made the whole process that much easier. BTW; I appreciate the comments and will get back with my thoughts this weekend. I did find a manual, I thought a slip case was include however it was a simple manual and a soft cloth to clean the screen. They include a dock and a power cube but no slip case. I don't get it, my 60GB iPod came with a slip case but no dock or power cube. I can understand the need for a power cube since this is a phone, but given the potential for scratching, I would have thought they would have included a simple slip case. The YouTube widget application does not work. After searching the net, I found that this is a known problem when the cell phone is not activated. Apparently the widget check for cell service first, then switches to WiFi,. If the cell service has not been activated the widget fails. It is clear that the innovation in the iPhone is the hardware design and the touch interface (I am still learning all the gestures). The applications are however quite basic (other than the iPod), although well integrated with each other. As Microsoft has done with Windows Mobile, Apple needs to foster the developer community to drive application innovation. This is however a double edge sword, since it can also create stability issues and user confusion over differing UI styles. I think their approach of only allowing browser based applications to start with is limiting but probably a safe strategy.The bottom line (for day 2) is that the iPhone is a good choice for consumers who are looking for a cell phone with mail and Internet access in addition to an iPod, however it has a ways to go to match to flexibility and number of applications you can find on Windows Mobile. And did I mention! No Exchange ActiveSync. Trick the baseband radio flash memory into thinking it has been erased and update the baseband software. This method requires opening the case (very dangerous). Software only hack. There are several out there. 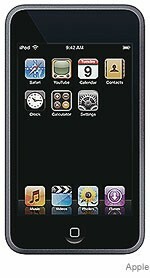 One cost $99 from iPhonesimfree.com , but they are having major distribution and support issues. The other I found is freeiPhoneUnlock.com. Neither seems perfect but I may try freeiPhoneUnlock. Use a special SIM card holder like TurboSIM which accommodates part of the AT&T SIM card and part of your provider's SIM card. The problem; you can't seem to order it. This is a real cottage industry. It will be interesting to see how Apple and AT&T handle the situation if it gets out of hand. I had pretty much made the decision to buy the discontinued 4GB iPhone, but when I heard that Apple had sold its millionth iPhone it was time to go the Apple store before they ran out of them. Talk about mix messages, lower the price by $200 on Tuesday, 69 days after it is released, and meet your sales target on Sunday, 74 days after it is released (16 days ahead of schedule). Today, I have to agree with Chris, who commented "I think the business strategy with regards to the iPhone and iPod is widely misunderstood." on my post last Friday. From reading quite a few articles and posts on the subjects this morning, the opinions go from stupid to brilliant. It is clear nobody really understands, which probably makes it brilliant. Anyway back to my purchase, the goal of owning an iPhone is to unlock it and understand the device's innovation. However without Exchange ActiveSync, my Windows Mobile T-Mobile Wing is not going anywhere soon. The unlock process requires a two phased approach. The first phase is to unlock the PDA and iPod functions. The second phase is unlock the iPhone cell phone so I can use it on T-Mobile. I performed the first phase last night and it was incredibly easy. The process requires iTunes version 7.3.0.54 and an unlock tool unlock-iphone.exe (based on the work DVD Jon did to unlock his iPhone). Both can be found free on the dvdtoiPhone.com web site here. They are using this to promote their DVD to iPhone video conversion program. I will try it and report back later. I used my old ThinkPad X40 with Windows XP Pro. I un-installed the iTunes version I had on the machine and installed version 7.3.0.54. Plugged in the iPhone, the system found it, installed the appropriate drivers and brought up iTunes. At this point iTunes detects the iPhone and displays an activation page. I executed unlock-iphone.exe application (found in the zip file) and clicked on the Unlock iPhone button. The first time I tried, unlock-iphone told me to shutdown iTunes, I did, however I received a failure message. I un-plugged the iPhone, rebooted my machine, plugged the iPhone back in, and once iTunes came up I shut it down. I executed unlock-iphone.exe application one more time and clicked on the Unlock iPhone button. This time I got a success message, however the iPhone screen still showed that it needed to be activated. Per the instructions I unplugged it and plugged it back it, but no success. I unplugged the iPhone and rebooted it. This is done by holding the power button down to perform a full shutdown, and pressing the power button once again to perform a power up. Success; this time I had no activation message, I did get an invalid SIM message and iTunes still displays an activation page. Unlocking (finger slide) the iPhone makes the SIM message disappear and canceling out of the iTunes activation page puts you in the iPhone sync page. iTunes now told me that my firmware was out of date, so I updated to version 1.0.2. (worked perfectly). I then set my sync options and performed my initial sync. My outlook contacts and calendar did not sync but I think that was because Outlook was not running. I will have to try again today. My new iPhone is now 80% (no cell phone yet) functional with PDA/iPod/WiFi/Bluetooth. I setup WiFi and I am able to use all of the applications that use the Internet. I did have to hunt for the MAC id (I use MAC filtering), however it detected WPA-PSK automatically. The MAC id is under settings/general/about slide down to Wi-Fi Address. I setup email and was surprised to find an Exchange tab in the addition to IMAP and POP3. Unfortunately, the Exchange tab in the mail setup only provides IMAP, however it seems to be an acknowledgment that they consider Exchange to be very important. I was able to configure mail to access my 4smartphone.com Exchange 2007 account via IMAP. There are two caveats to configuring the mailbox; one is that you need to use the Active Directory domain in front of your mailbox user id (domain\userid) and that you use password as the authentication method (default). You can then map folders like the iPhone's sent items folders to your Exchange sent items folders. If you have used Exchange ActiveSync, this whole scheme is barely usable but it does provide basic email capability. All of the applications are pretty basic, except for the iPod and Safari browser. At this point with the simple unlocking of the iPhone (no cell), I am not sure why you would buy a dumbed down iPod Touch with no way to update information (contacts, calendar, mail) , no speakers, and no camera. The only thing the iPod Touch has going for it is 16GB of memory.